Very good price. Is the Mk6 springs black & the Mk5 springs red? What differs? RIde hight and hardness? Wow excellent price there Mooloo! 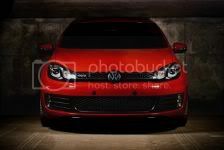 For the guys wondering...the MK6 springs are black...the MK5 springs which I have are red! Jaco do it! It will look awesome on ur car! And no even with 19" there will still be enough space! Wont catch at all! Can you confirm your wheel offset for me as well as tyre size? Is there any guarantee on the springs? 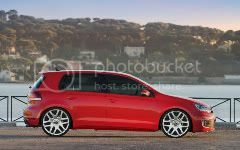 Do you have springs in stock for MK5 GTI? Which one do you sell? x2 + shipping cost to PE pls ? 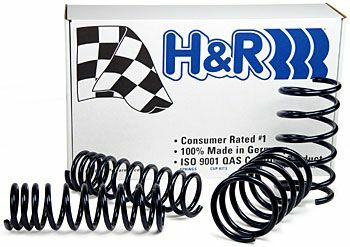 All our H&R springs are guaranteed and are not grey imports. 29176-1 Sport spring is what we sell locally. The codes that you have listed is for the US market. Rabbit222 wrote: All our H&R springs are guaranteed and are not grey imports. I just want to know if these ones are lower than the comparative Eibach kit ? I've read that a few guys say the H+R is a much harsher ride than the Eibach's, but if the ones you supplying is also 30mm ? then I take it will be similar to the Eibach ? Just trying to make an informed decision. is that not for the g5?? Eibach does not go as low as the H&R kit. H&R goes down 30mm whereas the Eibach kit goes down by about 15mm.